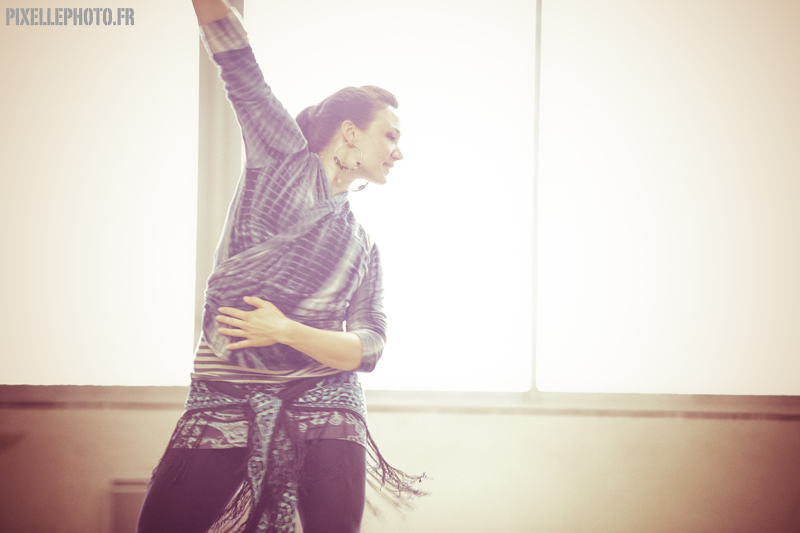 Elizabeth Strong is a San Francisco Bay Area dancer, choreographer, and teacher whose work focuses on the integrity and spirit of traditional dance forms inside of a contemporary framework. Elizabeth was a touring member of Bellydance Superstars, and was a founding member of Bellydance Evolution and of Beats Antique’s dance company with Zoe Jakes. A former principal member of Katarina Burda’s Aywah! Ethnic Dance Company, Elizabeth has traveled to Egypt, Turkey, Tunisia, Morocco, Greece and Bulgaria to study closely at the source and is now considered one of the leading experts in the form. She performs with live music groups including Kugelplex, MWE, Brass Menazeri, and Fishtank Ensemble, and renowned world musicians including Faisal Zeidan and Rumen Sali Shopov. Elizabeth’s teaching specialties include Turkish Roman, Bellydance, finger cymbals, musicality, floorwork, isolation, balancing with props, D.I.Y. Fusion, and strengthening. Elizabeth’s education as a dancer has been unique in that she has been trained through both Western, formal technique, and in the Old World style of following by simply watching and imitating. She tries to use both methods in her teaching, allowing the feel of the form to become familiar to her students, while guiding with explainations about important details, from muscle control to cultural background. Most of all, Elizabeth strives to create a learning environment that is joyful, nurturing, and fun, as well as educational.